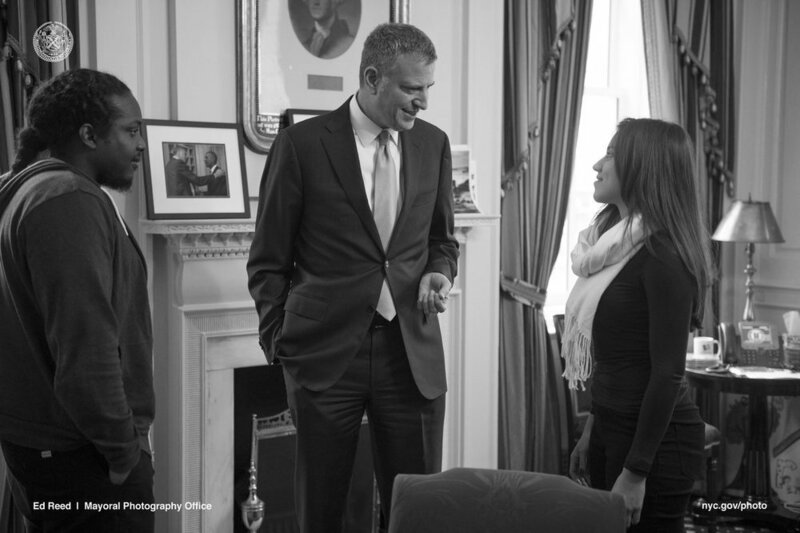 Read Mayor Bill de Blasio's call to action to business leaders here. "We have made significant strides to ensure that the growth of New York City's booming tech ecosystem is fueled by qualified homegrown talent...As part of our administration's plan to spur 100,000 good paying jobs, I recently announced a new goal of doubling the number of computer science graduates from the City University of New York by 2022. Central to achieving this goal is the launch of a new Tech-in-Residence Corps that will bring NYC industry professionals into local colleges to teach in-demand and emerging skills." We are currently recruiting for the upcoming semester. If yes, please describe in 1-2 sentences. How did you hear about Tech-in-Residence Corps? Thank you for your interest – we’re thrilled that you’d like to learn more about teaching New Yorkers the tech skills they’ll need to help the NYC tech ecosystem start, grow, and thrive. We are currently piloting this effort and may not be able to accommodate all interested individuals in the first round of the program, but will be circulating additional opportunities to participate as they become available. Responding to the Mayor's call to deliver a pipeline of quality, local tech talent to local employers, the NYC Tech Talent Pipeline launched the Tech-in-Residence Corps in 2017. This team of industry professionals teaches courses in tech majors across the five boroughs to bring students the in-demand skills and project experience they need to launch careers in tech. Training: Corps members start with training to prepare them to create effective course materials and become impactful instructors. Campus partnerships: A Faculty Mentor at each campus supports the Corps member throughout the semester. Full feedback: Industry and faculty share feedback to make sure the school's overall Computer Science curriculum equips students with both the fundamentals and the know-how employers seek in candidates. Sample topics include Software Engineering, Web Development, Mobile Development, Data Science and Analytics, and Artificial Intelligence. While Corps members teach a range of subjects, all aim to prepare students for entry-level roles in tech, provide them with opportunities to apply theory, and build their portfolio of projects. Corps members have infused their courses with practices from their workplaces, such as the agile methodology, scrum, delivering presentations, making a business case, and contextualizing projects for fintech or e-commerce. Single Instruction: 1 Corps member delivers an entire course. Team Teaching: A group of professionals from one or multiple companies work together to share the delivery of the course content.